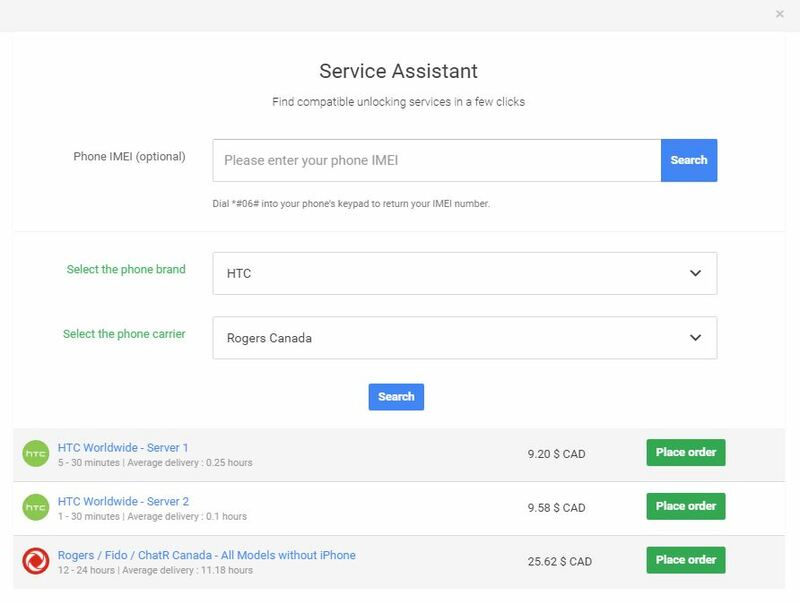 In this guide, we will explain how the Service Assistant can be your next new favorite tool from Unlockr. You can enter the IMEI of the phone if you have it, but it’s optional. Simply select the phone Brand and carrier that you need to unlock and the Service Assistant will automatically select the services available to unlock the phone you have and give you a shortcut to quickly place your order. 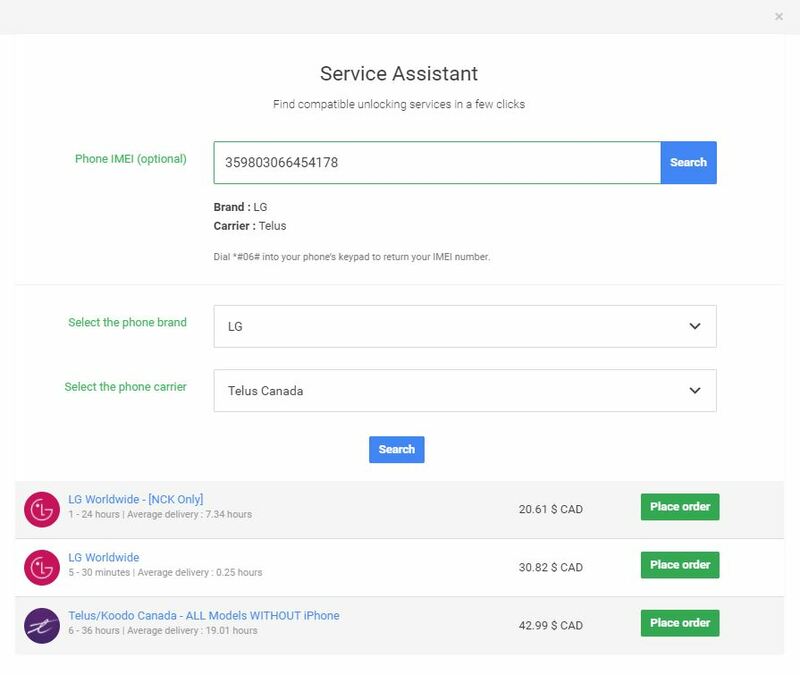 If you want to search by IMEI, the assistant will automatically fill the brand for you, and even sometimes the carrier when possible, like for all LG phones ! We hope this tool will save you a lot of time and we can’t wait to hear your feedback from it !